The Power Clear® 518 throws snow up to 25 feet. 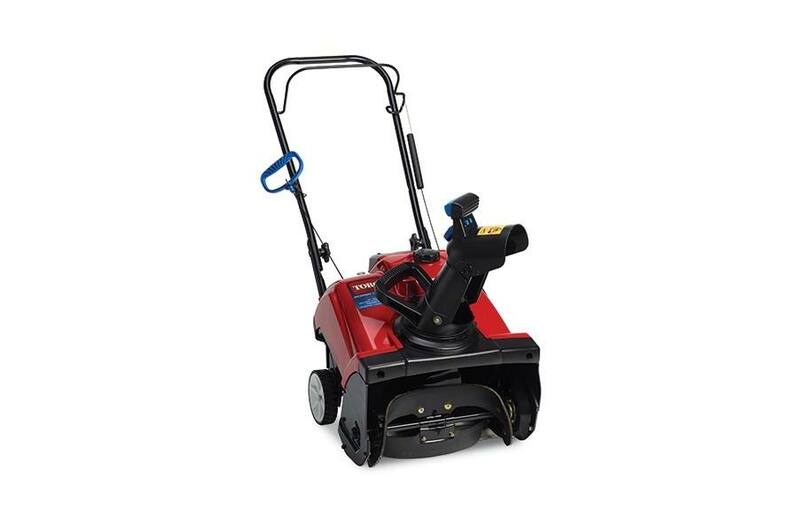 It features an 18-inch clearing width, a Toro premium 4-cycle engine and a compact design for easy storage. Fold-down handle and chute make storage or transport simple. Storage dimensions: 29.5" x 18.7" X 27.5". All Toro single stage snowthrowers are backed by Toro's 2-Year Full Coverage Warranty and Two-Year Guaranteed to Start Warranty (Residential only).